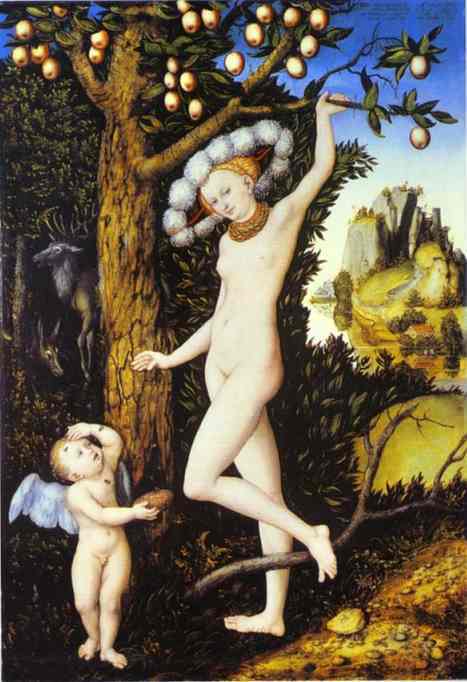 Richard Brooks of the Sunday Times, has a piece yesterday which indicates the National Gallery has a work by Lucas Cranach, “Cupid Complaining to Venus”, which may have been looted by the Nazis. The National Gallery has an entry on its website about the painting here. Elsewhere on the National Gallery website, the work’s provenance is listed as being questionable. The National Gallery revealed the dubious history of the work after they learned it had been taken from a German Warehouse in 1945 by Patricia Lochridge Hartwell, an American Reporter. Hartwell’s son met with the museum last year. It seems she may have been invited into a German warehouse by American Soldiers in 1945 and allowed to take her pick. It’s yet another example of how spoliation from World War II is still being discovered. The piece does not state why the Gallery has taken so long to come forward with this news. Perhaps it was investigating the claims, or it may have been concerned that the news was about to be broken. The Gallery coming forward in this way of its own volition looks much better than if the questionable provenance was revealed by a claimant. If a claimant comes forward, the case will be considered by England’s Spoliation Advisory Panel, which was set up in 2000 to evaluate claims for spoliation issues. Often, the panel orders compensation for the claimant, as a measure of compromise, and not the whole work. I would look for Germany to initiate a similar panel in the wake of all the restitution which has caused the loss of art from its museums in recent years.